*The BFIT is a fully accessible venue. Keyboardist extraodinaire Johann Sebastian Bach came from a long line of musicians, and his children continued on in the family business, not only as master composers, but as keyboard virtuosos. Bach's works for multiple harpisichords were written in part for his family to play, and it is clear that they served as models for his sons. Featured on this program are works by Wilhelm Friedemann and Carl Philipp Emanuel, his eldest sons, and Johann Christian, his youngest. It is fascinating to compare their compositional styles to their father, but also to notice how different they all are from one another. What is clear though, despite their differences, is that each composer learned from their father ingenious ways to combine the forces of two keyboard instruments and feature both players equally. 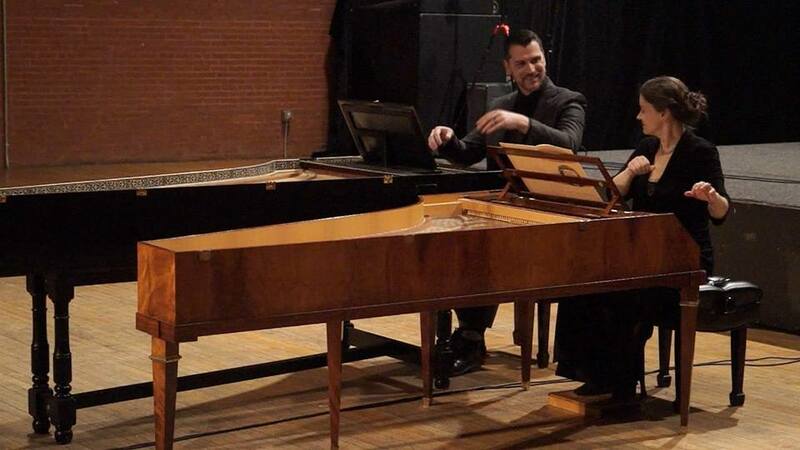 Don't miss a chance to hear these phenomenal works during the Boston Early Music Festival!